Malwarebytes for Mac: Should I Use this App? You’ve probably heard many times that Apple computers running OS X or macOS never get infected with any type of malware. We have to bust this myth for you: with the constantly growing popularity, Macs (as well as iOS devices) are nowadays targeted by online viruses, Trojans, adware, ransomware, spyware, and other types of malicious software more often than ever before. Most of these won’t get through Mac’s firewall, but some may still creep inside with some legit free or even paid download and have your device infected, causing nothing but trouble. To be on the safe side, you need a powerful anti-malware app to protect your favorite MacBook Pro or iMac against various online threats. In this article, we are going to talk about Malwarebytes – the anti-malware software, developed by Malwarebytes Corporation, an American Internet security company. Its designers claim that since its launch back in 2006, Malwarebytes app has helped to fix malware threats on over 250 million computers worldwide (we didn’t find the confirmation of this info elsewhere, though). Malwarebytes is available to download in two versions: a free 30-days trial and a paid premium pack with extended features. The software is compatible with all Mac devices running on Apple’s operating system version 10.10 (OS X Yosemite) and later. Mind though, that Malwarebytes is still not updated for the most recent macOS – High Sierra. We hope that the app will be able to match High Sierra after one of its next upgrades. Further, we are going to take a close look at Malwarebytes’ pros and cons, its pricing, validity and much more. Mac users can download Malwarebytes from the official developer’s site. Malwarebytes Corporation offers the packs suitable for home and business usage. The free version of Malwarebytes provides a 30-days trial; it has limited functionality, but it does offer full scanning of a Mac, to let a user check on the app’s speed and efficiency. After the 30-days term runs out, you will be offered to buy the full paid premium version of Malwarebytes. It is available for $39.99 per year. After this initial price, each extra license will cost you $10. While other antiviruses for Mac offer a set of three licenses at a set fee, the pricing policy of Malwarebytes is more flexible, which speaks in its favor. With the fully paid subscription, you will enjoy the whole set of the app’s powerful features, such as real-time protection, full scanning of your device, alert notifications and other functions which are described further in our review. 800X650 minimum resolution of Mac’s screen. What are the main features of Malwarebytes Mac application? The work of Malwarebytes for Mac is based on a unique anti-malware technology. With its help, the app provides the users with the ultimate protection. Let’s discuss the powerful features of Malwarebytes in detail. Malwarebytes protects your Mac in real time. This means that software automatically detects and instantly eliminates identified malware from your device while you browse online. Here is the entire list of malware that the app protects you against. PUPs (Potentially Unwanted Programs) are the programs which you may download on your computer unknowingly along with another app; these introduce spyware and adware into an OS. Adware (malware which deluges the websites you view with the enormous amount of ads, changes your settings, default search engine, etc.) Both types of malware can make a user’s experience miserable. Malwarebytes will readily protect you against both. The first two features protect your device against online threats in real time. If your Mac has already been infected, Malwarebytes will offer fast scanning of your device. The time of scanning may depend on Mac’s system, but generally it takes around 30 seconds. After, Malwarebytes will work as a removal tool, to detect and brush all elements of malware out of the computer’s system, and restore the normal work of your Mac. Malwarebytes is real light-weight software – its full size is only 20Mb which will take only a tiny amount of your computer’s resources. It won’t cause any slowdowns in work even if running full time. The app’s interface is intuitive and simple. Its dashboard will show you the protection status of your Mac, the time of last scan and the update status. Malwarebytes keeps updating in the background, to keep you constantly protected against all kinds of malware. You can adjust the frequency of automatic scan or set them to manual. In the quarantine tab, you can view the detected threats and remove them completely. Any adjustments can be made in Settings. Malware does most of the work in the background, asking for the minimum of user’s attention. To sum up the features described above, we can say that Malwarebytes has such advantages: it’s light, fast, user-friendly and powerful when it comes to detection and removal of practically any malware. The drawback of the app is that it’s relatively pricey. Over the past 4 years (the first release came out in 2013), Malwarebytes anti-malware became quite well-known in closed circles. It has a good reputation and keeps improving itself. We can say that the app has no hidden threats and is safe to use. Is Malwarebytes Legit to Download? The anti-virus app is developed and run by one of the US Internet security companies – Malwarebytes Corporation. It is totally legit and well-supported by its developer. Malwarebytes is lightning-fast and ultimately powerful anti-malware software. Its quick scanning and real-time protection features will help to keep your Mac safe without the risk to get it infected by nasty online malware. The app has proven itself to be effective and reliable and is definitely worth trying out on your Apple computer. 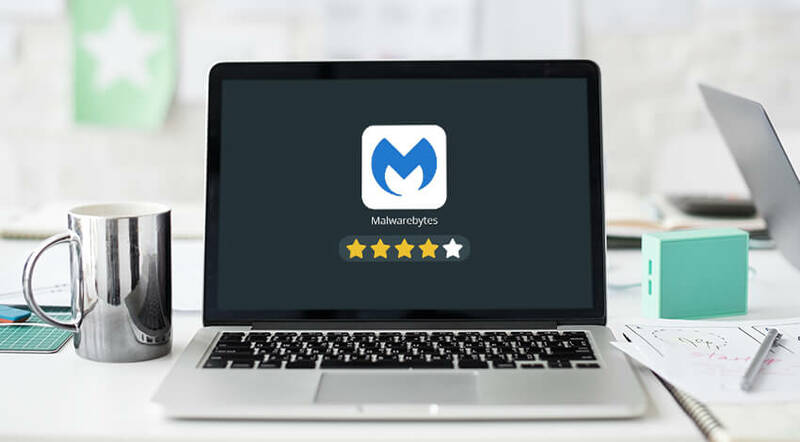 Even though Malwarebytes doesn’t seem like a likely candidate to get unseated by a competitor, it could be removed from its position by a cleaning app – MacFly Pro. Not an antivirus per se, MacFly Pro performs basic functions of a quality malware scanning utility. Sounds pretty good, right? There’s more! 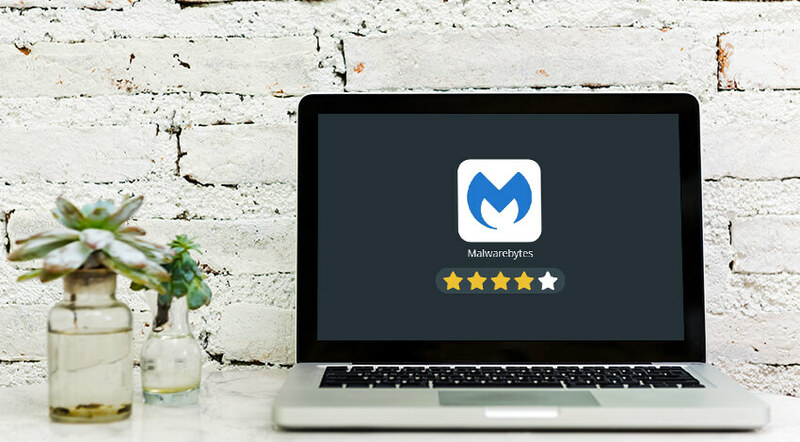 Instead of spending a small fortune on Malwarebytes, use MacFly Pro that can also remove app leftovers, eliminate memory hogs, clean mail attachments, and even shred unwanted files for good. Basically, it’s a genie in a bottle that can do almost whatever you want (as long as it relates to cleaning, of course). I’ve tried scanning my Mac with MacFly Pro after doing the same with Malwarebytes and was surprised to discover that the latter utility missed some troubled areas. By using MacFly Pro, I was able to get rid of several nasty malicious software (trust me, you don’t want them on your Mac) and free up some space for video games. It means that despite the fact that MacFly Pro is light and lean, it has extremely thorough scanning capabilities. Don’t choose between security and free drive space. Instead get the best of the two worlds with MacFly Pro!